Many dogs lick their paws. It often starts as a minor irritation-caused by a flea or tick bite and soon turns into a habit. 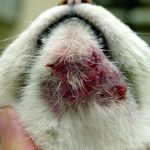 Paw licking can turn ugly as it causes severe redness, irritation and even abscesses which might need antibiotics for healing. 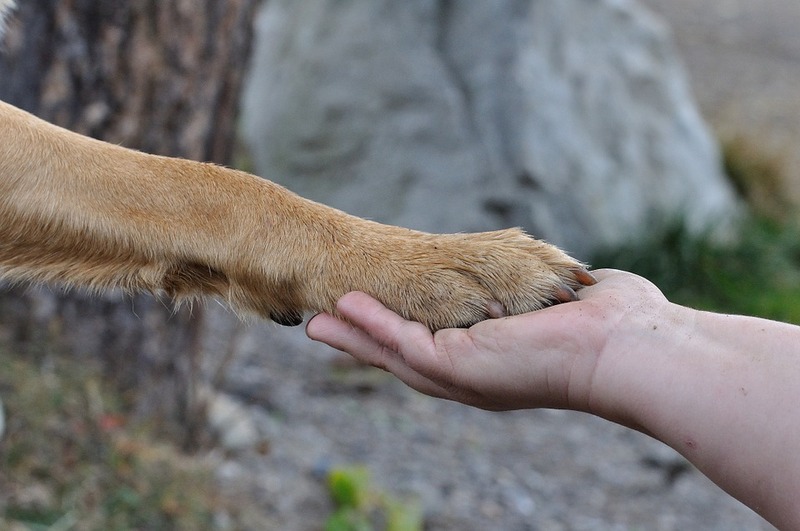 Let us take a look at some dog paw licking remedies and tips for prevention. Food allergies, environmental allergens like grass, dust mites, pesticides, prescription medicines, floor cleaners etc can all lead to paw licking. Your dog could also be allergic to gluten, wheat, eggs, or other protein in its food. In such cases, your pet will lick or chew both front paws, not just one paw. Yeast and/or Candida infections can also lead to paw licking and chewing in canines. Dietary changes can usually solve this problem. We will shortly cover dog paw licking treatment later in this guide. These parasites tend to bury themselves in your pet’s paws causing itching, pain and irritation. Your pet will also scratch and chew or bite other areas on its body; not just the paws. Examine your pet for fleas/ticks and take steps to control them. Many dogs bite, lick or chew paws out of boredom. They develop the habit if they are left alone for long periods of time or not given adequate exercise. Pets confined to the yards or their crates can also develop paw licking as a habit. If you pay attention to your pet when it licks or chews excessively, s/he might even use this tactic to gain your attention. Some dogs soothe their anxiety through paw licking or use it as a means to fall asleep. If your dog has recently been separated from another dog or a family member, it may express its sorrow or anxiety in this manner. Dry, flaky itchy skin, fungal infections, ringworm or bacterial skin infections can also give rise to paw licking, chewing and biting. Some breeds are prone to skin issues. Also the dry, cold weather in winters can give rise to dryness. Inadequate omega 3 essential fatty acids in diet can also be one of the causes of dog paw licking. The salt used for deicing snow in winters can harm your pet and cause dryness and skin irritation between the paws. Autoimmune diseases, allergic atopy, malassezia infection, pododemodicosis, Cushing’s disease etc could sometimes be characterized by excess paw licking, redness of digits and constant wetness of paws accompanied by hair loss. The use of non ph balanced harsh soaps or shampoos can also cause this condition. Feed your pet a preservative free, preferably home-cooked food. This is very important to clear up granulomas, blisters and sores caused by paw licking.Talk to your vet about the right dog food for your pet. 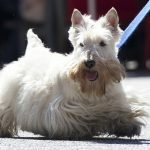 These days, there are many good brands available for hypoallergenic dog breeds. Changing your pet’s food can make a great deal of difference in this habit. Look for brands that promise toxin-free, preservative free foods. These can provide your pet with essential oils, vitamins and minerals to improve its coat health and prevent dry skin. Garlic- Small amounts of garlic are healthy for your dog as it has antibiotic properties. Add it crushed to the pet’s food. Add apple cider vinegar to your pet’s drinking water to replenish minerals, potassium etc. Grated raw beets, beet root slices, and/or beet juice can also help detoxify your dog’s liver, eliminate allergic reactions and get rid of intestinal parasites. Do not feed too much as it could lead to diarrhea. Feed your pet fish oil supplements. Many good brands of salmon oil or Omega 3 essential fatty acids mixed with other antioxidants are available in the market. These give your pet much needed relief from allergies, prevent hot spots, improve coat health and also reduce shedding. Digestive, pre and probiotic supplements are also essential to help prevent dog paw licking. These help improve digestion and replenish the friendly bacteria in the intestines to prevent infections. Brewer’s yeast is beneficial for dogs with excess paw licking. It provides B vitamins and relieves skin issues. Make sure your pet is not allergic to it. Put vitamin C powder on dog’s food-500 to 2000 mg. Do this for a few weeks and then stop. Give 5-10mg of zinc per day- an important mineral to restore skin health. Vitamin E is extremely important for healing lesions on the paws. Feed a supplement based on your pet’s size. Also use Vitamin E oil as a slave on the irritated paws. An anti-itch spray can relieve pain, itchiness and soreness in the paws. Look for ones containing oatmeal, aloe vera etc. These ingredients soothe dry and itchy skin and also heal bitten, damaged, red skin. Trim the excess hair from the paws and spray the solution several times a day in affected areas. 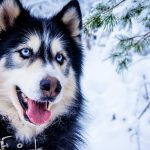 Anti lick sprays or lick-deterrents with bitter taste can prevent your pet from excess paw licking. You can also spray apple cider vinegar on the paws to deter licking. Use an Elizabeth collar to stop this habit. This is a slightly difficult remedy but it will be extremely beneficial to your pet. Start with 2-3 days of fasting. Give your dog enema to eliminate and clean out the bowels. Next, feed some aloe vera juice or castor oil to your pet to help eliminate remaining toxins from its body. Feed kelp to your pet after restarting solids. This will get rid of sores, redness, itching and irritation. Many herbs are beneficial for treating sores and lesions on pets. Licorice is one of them. Licorice drops are available as tinctures and you can use a dropper to feed it to your pet. Goldenseal and Echinacea also help. Paw cleaning fizzy tablets and solutions can be useful for cleaning paws thoroughly and prevent allergic reactions to floor cleaners, pesticides etc. These cleaners also brighten nails and deodorize the paws. The ingredients in these solutions also moisturize and condition paws for added benefit. You can add the tablets to the tub filled with warm water, and soak your pet’s paws in it for 5 minutes. Do this daily to prevent paw licking. You can also soak your pet’s paws in Povidione-Iodine solution to eliminate bacteria, yeast, mold etc. Avoid taking your pet out on pesticide treated grassy areas for walks. Do not use harsh, chemical based floor cleaners in your home. Vacuum your home thoroughly to reduce dust mites, allergens etc. Get rid of ticks and fleas by using appropriate integrated treatment/s. Bathe your pet with vet approved, gentle, and ph balanced shampoo. Change your humidifier/air filter to purify the air in your home. Exercise your pet everyday to prevent boredom, depression and/or separation anxiety. If your dog is alone for long periods of time, entertain it using Kong toys. In winters, prevent your pet from going on icy, salt treated areas. You can try using protective footwear for dog’s paws or rub some Crisco shortening on the paws to prevent dryness an salt irritation. If hormonal imbalance is causing licking, spay or neuter your pet. Use these dog paw licking home remedies to stop this bad habit in your pet. Cavachon Dog Breed – The Designer Dog That America Loves!